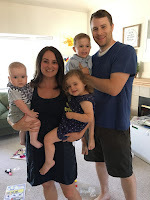 I haven't been very active on this blog (intentionally, since I got pregnant with Evan), and this post is a departure from my normal topics, but this felt like the best place to share this information as easily as possible with those that want to know. This past October I suffered a brain bleed that has caused me significant vision loss. This bleed was caused by a cavernoma (more on what that is below). We've been waiting to tell people aside from close family and friends because up until today we simply had more questions than answers. Now that we have more information, we feel like it's time to share what's happened and what life will look like for our family moving forward. I'm so sorry if you're a close friend or family member and this is the first you're hearing about it; we weren't trying to keep this from anyone, it's just hard to bring up something so serious in casual conversation, and we really didn't have many answers until today. We are still learning more on a daily basis, but here is a summary of how we understand things right now. A cavernoma (also called a cavernous malformation, cavernous angioma, or just simply a benign brain tumor) is basically a cluster of unnecessary blood vessels that are thin and susceptible to bleeding. The damage done by the bleeding depends on where the cavernoma is, how often it bleeds, and how heavily it bleeds. The bleeds cause lesions (like scabs) and swelling, and all of that combined is what causes the symptoms that people experience. Sometimes the symptoms are reversible once the bleeding stops and the brain heals, other times permanent damage is done. This condition can be familial (hereditary) or spontaneous (non-hereditary). A person can develop more cavernomas over time, although that's most common if your condition is hereditary. They don't necessarily grow in size, but the effects of the bleed can spread farther each time (kind of like a bruise is much larger than the actual injury site). They don't know what causes them to bleed, although some have hypothesized things like hormones, high blood pressure, or excessive strenuousness activity. If the cavernoma(s) is located in a place in the brain that surgery is safe, they can be surgically removed. If removed, there is no more risk of bleed but there is no reversing any damage already done from the bleeds and there are serious risks involved with open brain surgery. I'm recalling statistics that said roughly 1 in 600 people have a cavernoma(s) and 70% of those people never have a bleed or resulting symptoms. Of the 30% that do have symptoms, seizures or loss of gross motor function are the common symptoms with vision loss being less typical but still common. I have 1 cavernoma, and it's 1-2 mm in size (small), and we believe it's spontaneous. It has bled once, that we know of. Mine is located in my right basal ganglia. The cavernoma is affecting my visual tract, which is causing blank spots in my vision field. I have a large (about the size of my hand) blank spot in front of my left eye on the bottom part of my vision field, and a small blank spot in front of my right eye in the center part of my vision field. The best way I can describe it is it's like wearing a pair of glasses with smudges on the lenses, and you're trying to see around the smudge marks. This affects me most when trying to read as some of the first part of every word is initially missing, and looking at people as part of their face is initially missing. My eyes have been compensating for this by rapidly scanning back and forth to fill in the missing spots, so I am eventually able to read and see people but it just takes me longer. My eyes also get tired quickly, and I've been having headaches that are common with eye strain. I've also got a bit of brain fog and I'm finding it harder to process new information or make decisions about things. About 6 weeks after what we now know was the initial bleed, I experienced a significant second decrease in my vision (it's when the blank spot appeared for my left eye, whereas I previously only had one that I noticed in my right eye). That was either a new bleed or it was just part of the healing process from the initial bleed (there is swelling as the brain reabsorbs the blood and that can make things worse before they get better). My cavernoma is not located in a place that's safe to operate. My symptoms would have to be so severe that the risks of brain surgery would seem inconsequential to us. It's not totally back and white, but it's been said my risk of re-bleed is only 6% within a 12 month period. My limitations are few: in regards to the cavernoma, I should avoid blood thinning medications and supplements. In regards to the vision loss, I need to take that day by day to see what I'm comfortable doing. In regards to the headaches, rest helps the most and my husband is very on-board with getting me rest! The best case scenario is that my vision would return as the bleed heals, and that I would never have another bleed. Worst case scenario is that my visual tract is permanently damaged, or that I continue to have bleeds that cause worsening symptoms. October 19th - noticed problem with my vision in my "good" eye*, but I waited a week to go in because I was hoping it would resolve on it's own. I've had headaches cause vision problems in the past, and although I didn't have a headache that day I was still just hoping whatever was causing my vision issue was temporary. *I have one good eye that sees 20/20 and one bad eye that sees 20/200 because of a congenital cataract. October 25 - visited my optometrist, and my eyes were fine. He had me do a field vision test, however, and that revealed some blank spots in my vision that were consistent with what I was telling him. He referred me for an MRI. October 31 - picked up MRI results, talked with my optometrist about the findings and he referred me to a neuro-ophthalmologist. 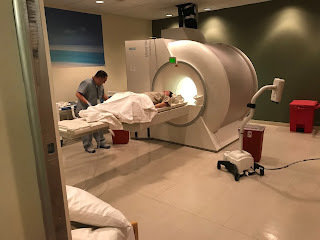 At this point we could see the cavernoma on the MRI results but had no idea if that's what was causing my vision problems, and no idea what a cavernoma even was. November 7th - saw a second optometrist for more detailed testing of my eyes, including photos of my optic nerve, just to make 100% there was nothing wrong with my eyes. My eyes were fine. November 13 - visit with the neuro-ophthalmologist. 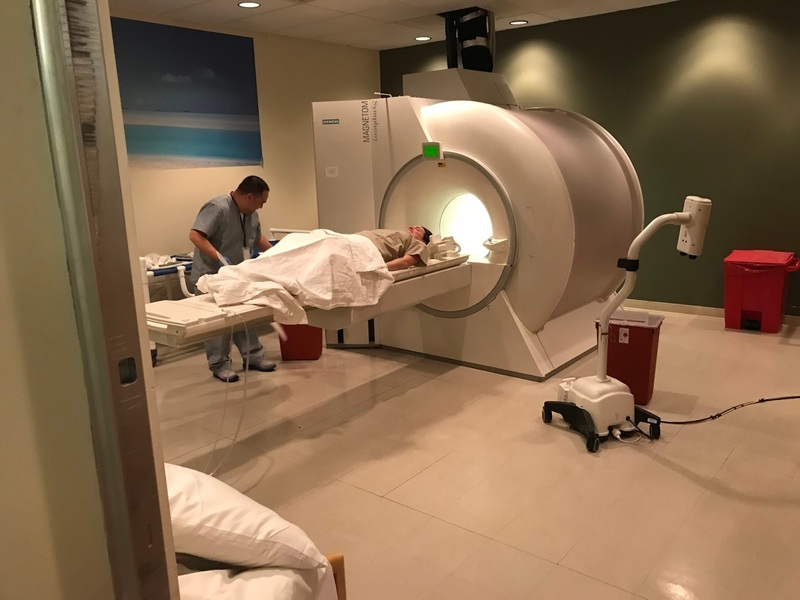 He confirmed the MRI report findings of a cavernoma, and was able to determine that the resulting lesion is in a place in my brain that's affecting my visual tract. He then referred me to a neurointensivist to deal more directly with the cavernoma. December 5 - visit with the neurointensivist, where we asked dozens of questions to try and get the best understanding of what is going on. We wait to see if my vision is restored, which would likely happen within the next few months if it's going to happen. We wait to see if there is another bleed. We wait to see if I ever develop more symptoms. We wait on the Lord, which is something He has already walked me through once before and I know He'll do it again. Angiogram in early January to get a better picture of the cavernoma and what the blood vessels are doing. Repeat vision field test in 6 weeks to see if vision has improved, stayed the same, or decreased. Follow-up with neuro-ophthalmologist in February to check on my vision and see how I'm coping with any still-present vision loss. Follow-up with neurointensivist in March to discuss any change in symptoms and re-assess our current options. There's no known treatment or prevention for these bleeds, but I'm always up for entertaining ideas of how to promote brain health. If you have any, please email me! I'm currently seeing my chiropractor (with modified adjustments), using essential oils, and taking some supplements (looking at adding magnesium threonate and spirulina). I eat a healthy diet full of veggies, seeds (flax/hemp/chia), beans, some meat, some grains, and very limited dairy and sugar. I limit caffeine, do moderate exercise 1-2/week (outside of caring for 3 small children! ), and get decent-ish sleep (despite said 3 small children). I have three main doctors overseeing my care, but am open to second opinions! I've found this website as a great resource: www.angiomaalliance.org/, but would love to read (slowly, haha!) other sites with information. If you know anyone who has this condition, I'd love to talk with them. I only have ONE cavernoma! It's only bled ONCE (that we know of) and it was a small bleed! My cavernoma is NOT hereditary, meaning my kids have no increased risk of this condition! I only have vision loss; no seizures or loss of gross motor function! I don't have a cancerous tumor! My vision loss was not from a stroke! This condition is not fatal! My eyes weren't the problem! God WILL heal me, whether on earth or in heaven! Pray that doctors would find a way to treat or even prevent ALL cavernomas for all people! I can still drive, but prefer not to drive in the dumping rain or at night so sometimes I may ask for a ride somewhere or ask someone to pick up my kids. Some days my eyes do better than others, so if I'm slow to respond to a text or my response is short please forgive me! If you're talking to me and I look confused, I'm having a heavy brain fog day and it's taking me longer to track with what you're saying. Family (usually my dad) has been able to watch the kids for all of my appointments and tests so far, which is so great. One of my favorite hobbies is reading books, so I've switched to audio books (using Audible) for the time being. I do all of the admin stuff for our family, and I'm still able to do that but it just takes me longer now (both to read and to think). I love knowing what's going on in the lives of my family and friends (the good and the bad! ), so please please please don't stop telling me things or asking me for mom advice. I may not have all my vision or a clear mind but my heart for my friends and family is still the same! God is good and in control, and I put my hope in Him. My family puts their hope in Him. 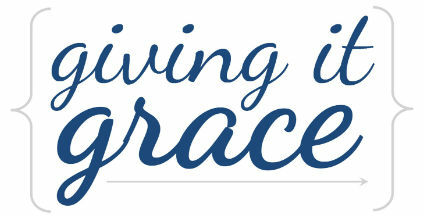 We firmly believe that everything God does is for His glory and our good, and that hasn't changed. I don't know why He is allowing this, but I know He can heal me at any moment by any means. I love God, I love my husband, and I love my family. And I'm going to serve God, my husband, and my family until the Lord renders my body useless. Hi Stephanie, I thank God for the strength of your inner man that God has given you. HEED Children is believing God together with you for your healing. There is nothing, God cannot do. May God give you and your family more grace of standing strong as you wait upon Him. I love you. Stephanie, with tears in my eyes I read this. My heart goes out to you and all that you are experiencing. I will continue to pray for you and your sweet family. But my tears are tears of joy and excitement in your heart for the Lord! You never cease to amaze me. I know of no better example of the power of the Lord's strength within someone than what I just read. You are a precious gift to all those who know you. I love you girl!! Prayers for complete healing and restoration in Jesus name! !